Buying a coffee for an old friend. Helping your child up after they’ve fallen in the playground. Making time to call your parents and let them know you’re alright. Passing some change to the homeless man. Volunteering for a good cause on the weekend. Protecting a stranger. Offering the elderly man on the train your seat. Smiling while doing these things. That’s kindness. We live in a time where kindness can be overlooked. Often, children are taught to be nice to their classmates. They are told, “Share the toys with your brother”. We look at these lessons as kindness and doing what is ‘right’. But, are we missing the point? Isn’t kind being different from being ‘fair’ or doing what is ‘right’? Isn’t it more about showing someone that you care and that you can empathize? By accepting ourselves with our flaws, we are able to see the good in others while forgiving their flaws. Through empathy, human beings are able to connect. It’s how we learn to trust one another and how we support the people around us. In turn, the kindness of others has an overwhelming influence on our own lives. Whether our acts can pay for a meal or lift people’s spirits, if we embark on the challenge of sharing kindness every day, we can make the world a better place. Think about your dearest friends. Those deep and meaningful relationships were built on kindness. If human beings knew no kindness, they wouldn’t be able to form these relationships. Our ability to show our emotions and understand the emotions of others comes from kindness: we accept the situations of dear friends and sympathize offering comfort knowing that if we were in the same position, they would do the same for us. Understanding the emotions of others is a critical skill in the modern workplace and learning how to adapt to how others feel starts with kindness. Whether we are gauging the mood of a meeting, or understanding that a colleague is being overworked, we are able to make judgment calls that can affect business through our emotional intelligence. But what about in the classroom? Being kind to yourself and encouraging that attitude can allow a child to excel. Instead of crumbling in the face of failure, a child can have the confidence to know that mistakes can be forgiven and that though they may not be able to complete a task now, they are able to grow. To create this culture in the classroom is to promote lifelong learning and a growth mindset. When asked about what advice they would give about kindness to other children, one girl responded quite profoundly, “It’s an everyday thing in life, that’s the most important thing.” I think that little girl’s statement applies to teachers and students alike. In fact, schools in the Madison Metropolitan School District recently put 4-5 year olds through a ‘kindness’ curriculum as part of a research study conducted by University of Wisconsin’s Center for Healthy Minds. The results were startling. Kids who participated achieved high marks in academic assessments and across a number of indicators that typically point to future success. The program focused on awareness. That is, they encouraged children to understand their own emotions, why they were feeling them and how to control them while allowing them to identify the emotions of their peers and empathize. Researchers found that children who were encouraged to inspect at this level showed a greater ability to regulate their own behavior, stayed focussed in class and develop a positive work-ethic. The ability to control oneself is critical to withstanding the health, financial and career-oriented stresses of later life. The program stresses that emotional, academic and social challenges are largely interlinked within children and teaching kids to cope appropriately while fostering an environment of kindness can improve learning. Using a number of hands-on activities, the program was able to achieve greater mental flexibility and a decrease in typically selfish behavior. This, of course, was in addition to improved academics. One exercise, called ‘Belly Buddies’, involved having the kids lie on their backs with a small stone on their tummies while listening to music. The sense of calm allowed the kids to very actively perceive the sensation of the stone and provide clarity in thought for them. Anyone who has ever met a child would know that they often have a million different ideas all at the same time. 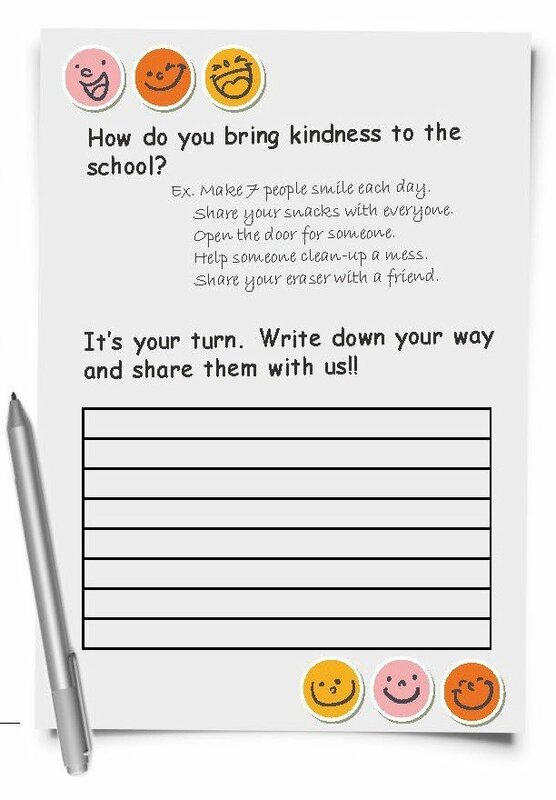 Incorporating kindness into the curriculum allows it to become an ‘everyday thing’. It boosts academic achievement while allowing a child to organize their thoughts and be considerate of the thoughts of others. It brings a sense of self-control and improved focus. More than that though, it fosters a positive classroom environment where everyone stands to benefit exponentially. By equipping our children with these social and emotional skills in tandem with academic rigor, we can raise a successful, conscientious and powerful generation of adults.